In addition to its coverage of core Azure services, the ebook discusses common tools useful in creating and managing Azure-based solutions. The ebook wraps up by providing details on a few common business scenarios where Azure can provide compelling and valuable solutions. We expect that you have at least a minimal understanding of virtualized environments and virtual machines. There are no specific skills required overall for this ebook, but having some knowledge of the topic of each chapter will help you gain a deeper understanding. For example, the chapter on virtual networks will make more sense if you have some understanding of networking, and the chapter on databases will be more useful if you understand what a database is and for what you might use one. Web development skills will provide a good background for understanding websites, and some understanding of identity will be helpful when studying the chapter on Active Directory. 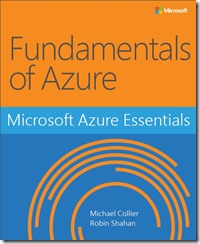 This ebook might not be for you if you are looking for an in-depth developer or architecture-focused discussion on a wide range of Azure features, or if you are looking for details on other public or private cloud platforms.